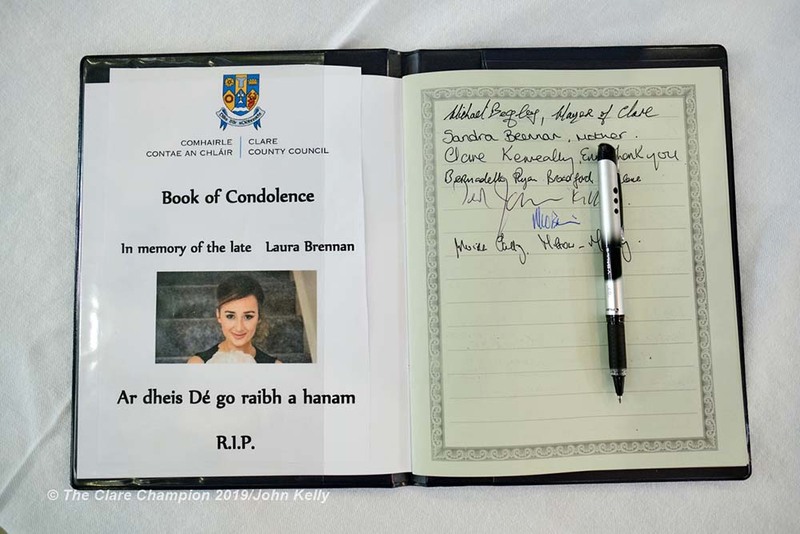 MEMBERS of the public have been signing books of condolences today at Áras Contae an Chláir in Ennis and at the Killaloe Electoral Area Office in Scariff in memory of rugby star Anthony Foley, who died suddenly at the weekend. 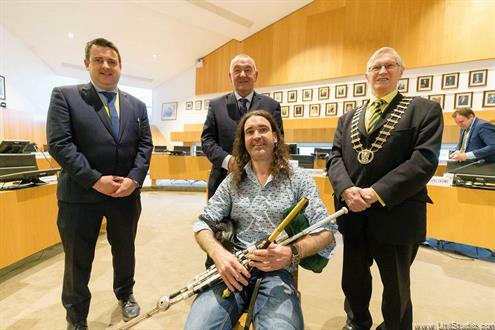 Leas cathaoirleach of Clare County Council, Paul said, “On behalf of Clare County Council and the people of Clare, I want to extend my deepest sympathies and condolences to Anthony’s family and his wide circle of friends and former colleagues. “Anthony was a warrior in sport and in life and he never shirked a challenge”, added Mr Murphy. 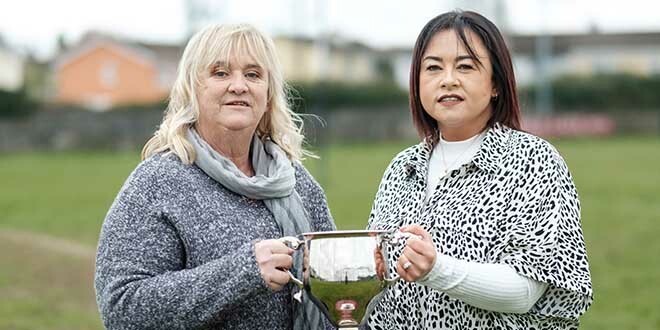 “Anthony’s achievements on the pitch were matched off the pitch by his role as an ambassador for Clare, Munster and Ireland. 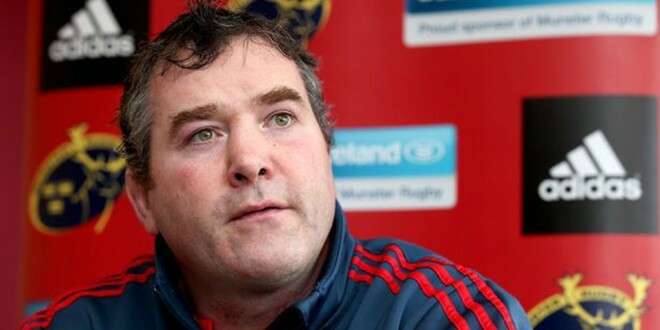 His loss to the local community in Killaloe and to Irish sport is immeasurable. Members of the public are being invited to sign the books of condolence during opening hours, 9am to 5pm, from today (Monday) to Friday. 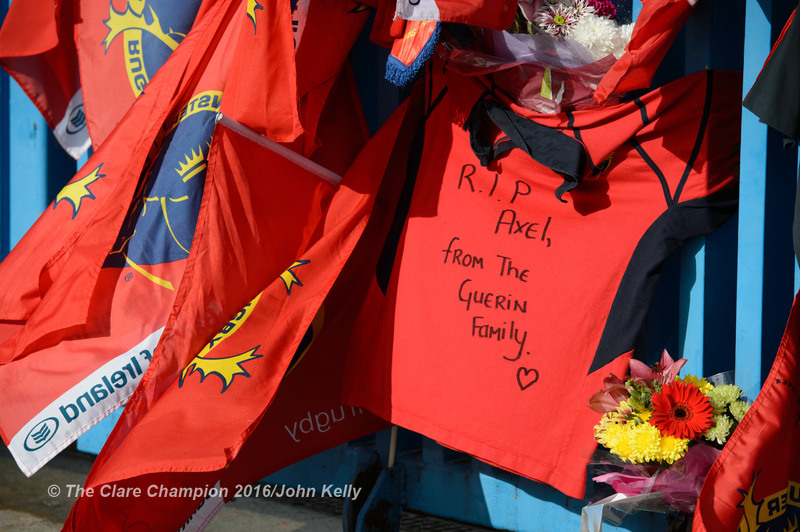 One of the many tributes from fans, on the gates of Thomond Park, to Munster and Ireland’s Anthony Foley following his passing in France on Sunday. Photograph by John Kelly.